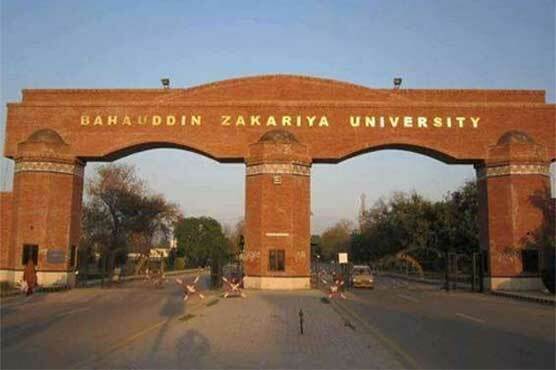 MULTAN: Bahauddin Zakariya University (BZU) on Tuesday expelled ten students for torturing a fellow and imposed a total fine of Rs100,000 besides banning the entry of the expelled students to the varsity. Sources in BZU told APP that the students were expelled after a thorough investigation into the incident by a disciplinary committee comprising Chairman Dr Bashir Chaudhary, DSA Dr Ashraf Khan and RO Dr Muqarrab Akbar. BZU Resident Officer Dr Muqarrab Akbar said that ten students had been expelled by the disciplinary committee, adding that they had also been fined Rs10,000 each. He said the students were caught torturing a student of the psychology department, Khalil Bughti, a few days back. The RO said that the expelled students belonged to the Law department and different FIRs had already been registered against them. Among those who have been expelled are Mehr Naveed, Rana Junaid, Abur Rehman, Ghazanfar, Amjad, Wahid Khan, Samuel Sarfaraz, Taufiq Ahmad, Ramon Hiraj and Usman Gabol.